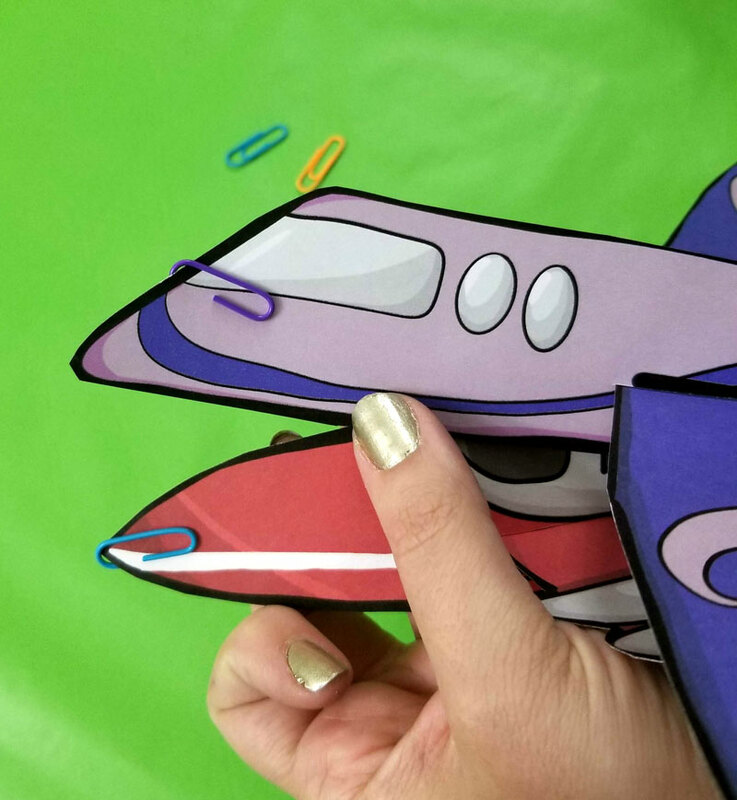 Easy Paper Airplane Templates to Print, Color, Craft, and fly! 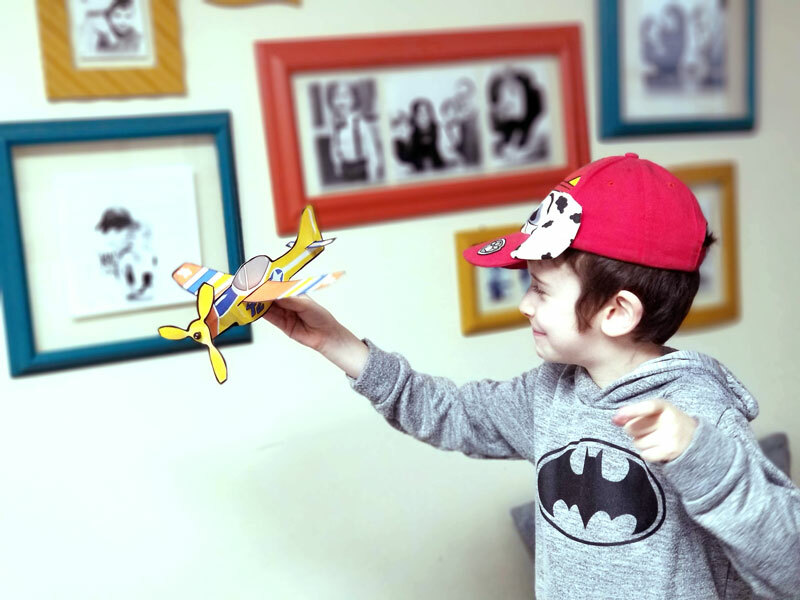 Home Crafts Easy Paper Airplane Templates to Print, Color, Craft, and fly! 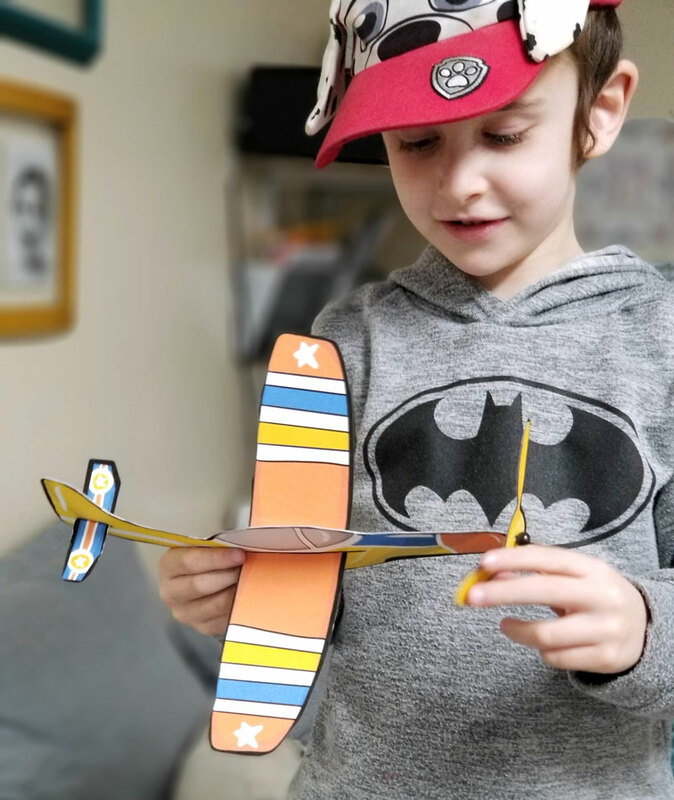 I am so excited to finally share with you these easy paper airplane templates to print and craft! 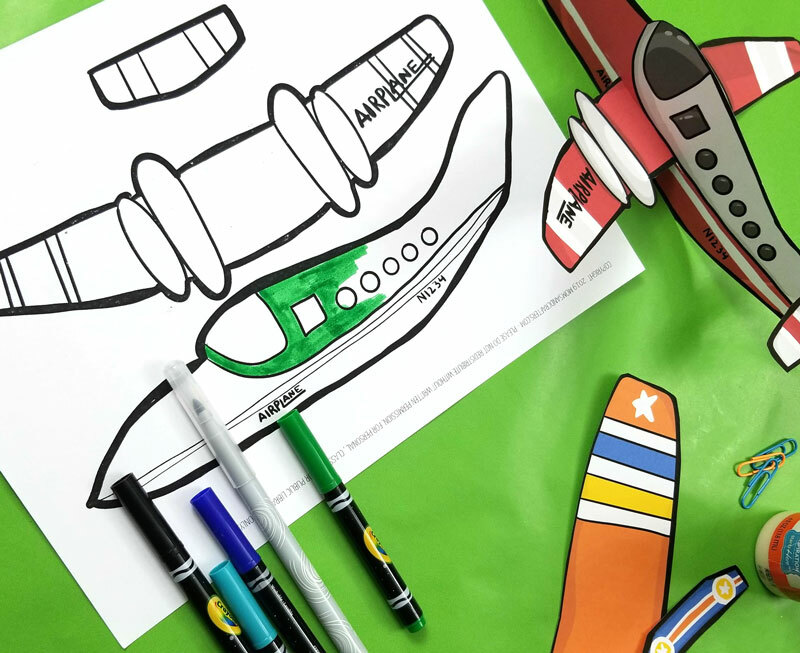 It wasn’t easy to pull together, but I came up with four designs, in both line art (coloring page) versions and full color printables. 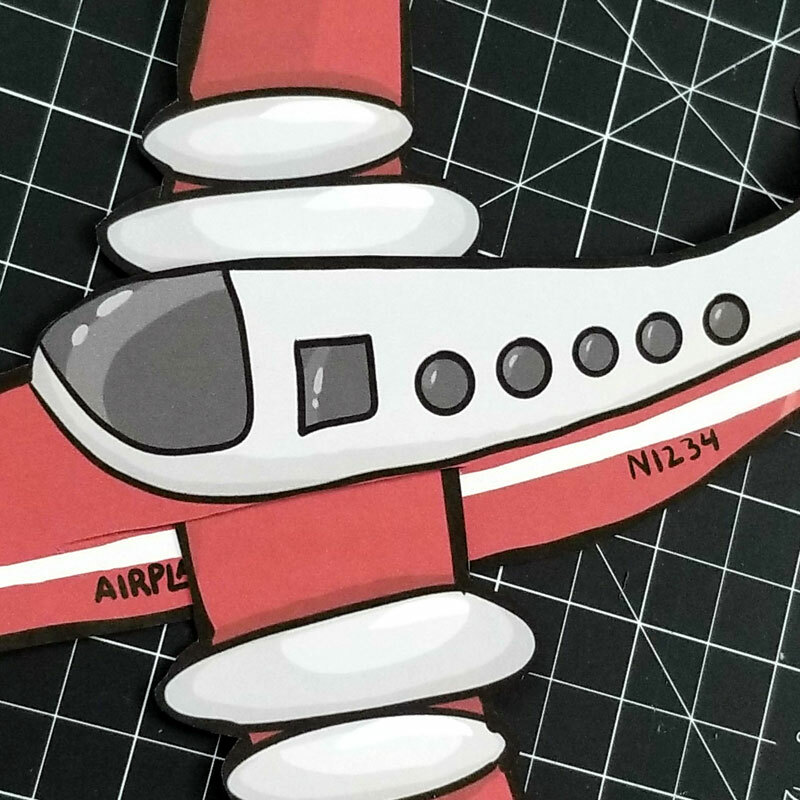 You can check out my complete list of paper toy templates if you’d like and then scroll through for your paper airplanes! Disclosure: this post contains commissioned links. 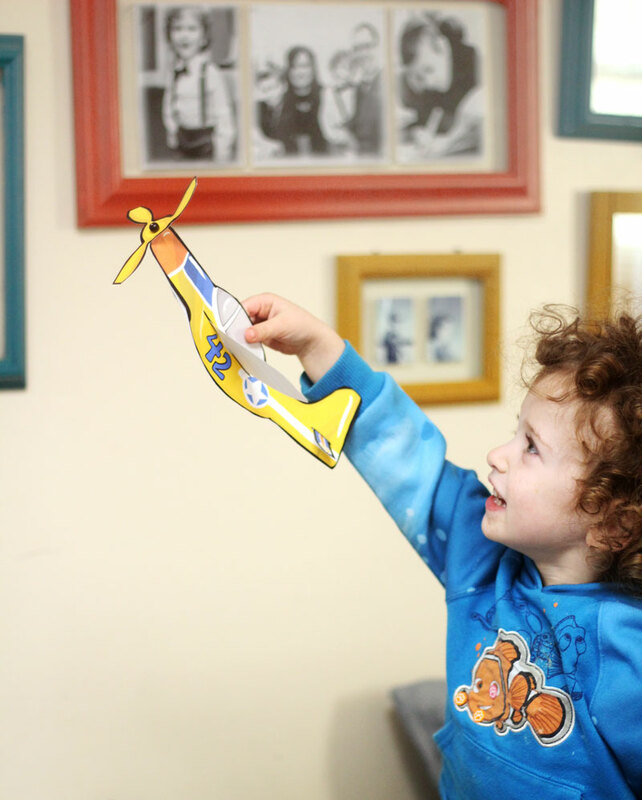 My boys are obsessed with anything that moves (like these school bus printables), but especially airplanes. Baby Y (age 2.5) makes this weird sound with his mouth that he things airplanes makes while flying anything that’s an airplane in his imagination. And M has assembled and reassembled his racing plane LEGO set more than anything else we own. 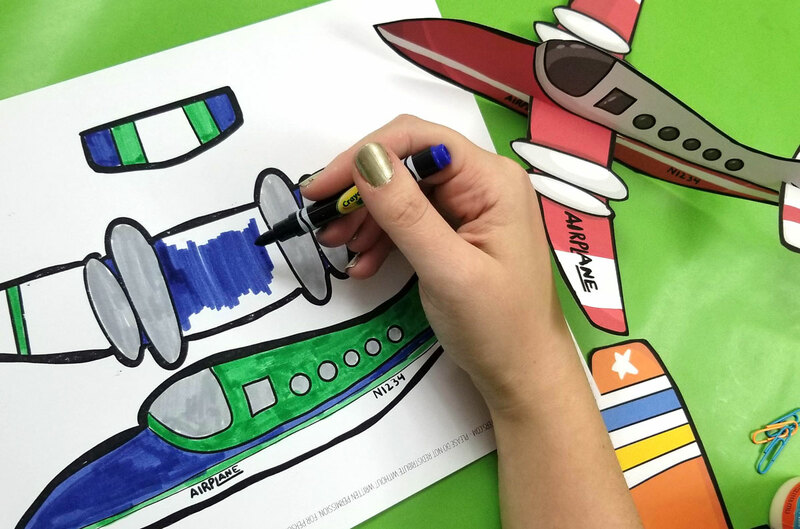 So naturally I had to design some easy paper airplane templates that they can color and craft. 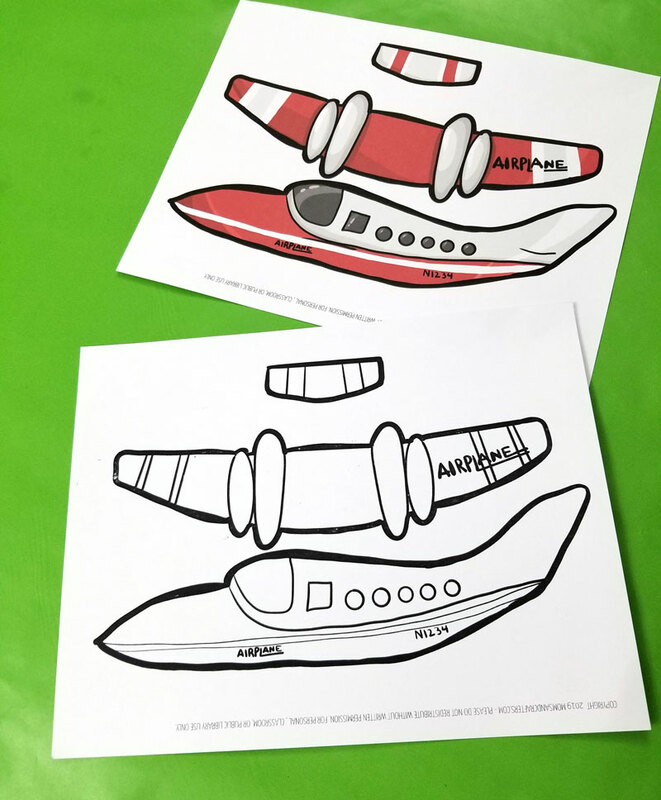 Of course, I got totally carried away when designing these easy paper airplane templates, and couldn’t stop at one design. So I created four, and only the “set-in-stone” publish date for this on my calendar stopped me from creating a dozen. I created two versions of each – a color-in and full color one. 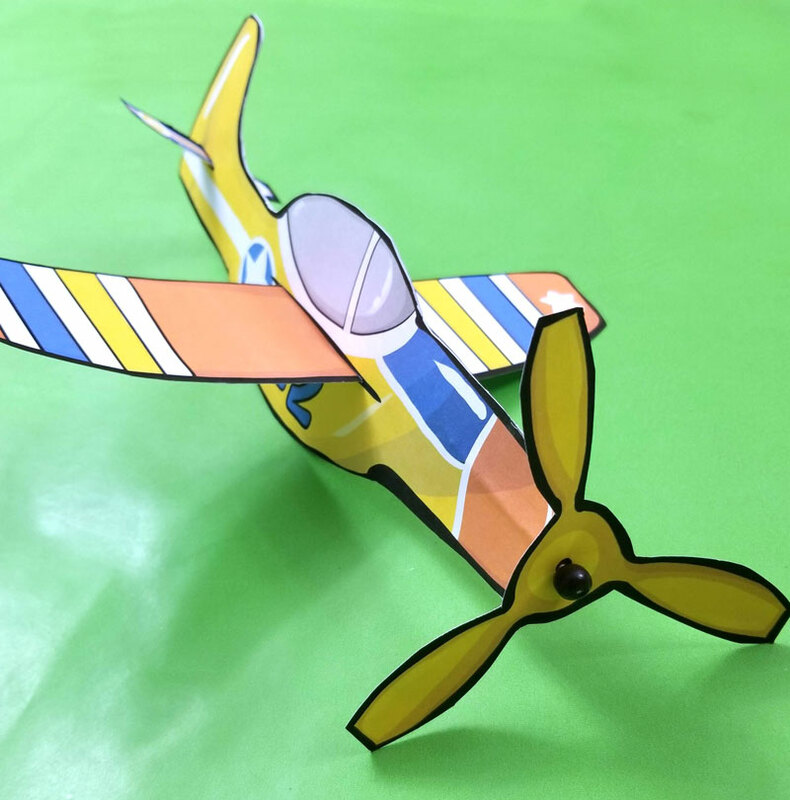 Note: these easy paper airplane templates DO fly, however they are not necessarily designed for flight. That means that you can use them as you do those cheap foam flyers, but they don’t fly exceptionally well. I did play around with a paper clip at the end, how to position it, etc. – and I’m sure you can turn this into a STEM lesson, blah blah, but I won’t pretend to know more about that than I do. 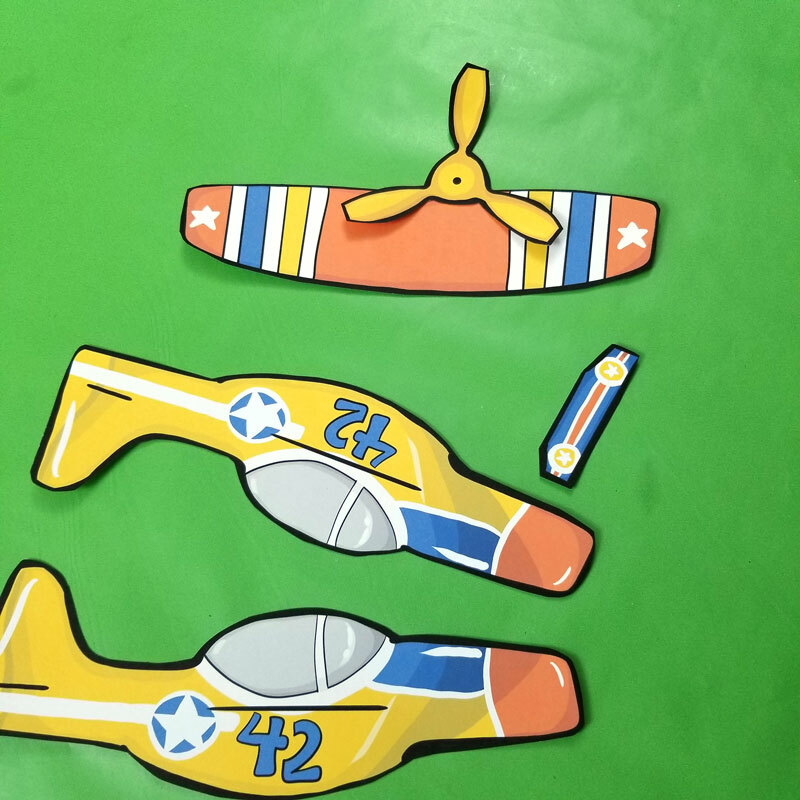 The truth is: I showed my sons how they can glide and “fly” them and they weren’t interested. 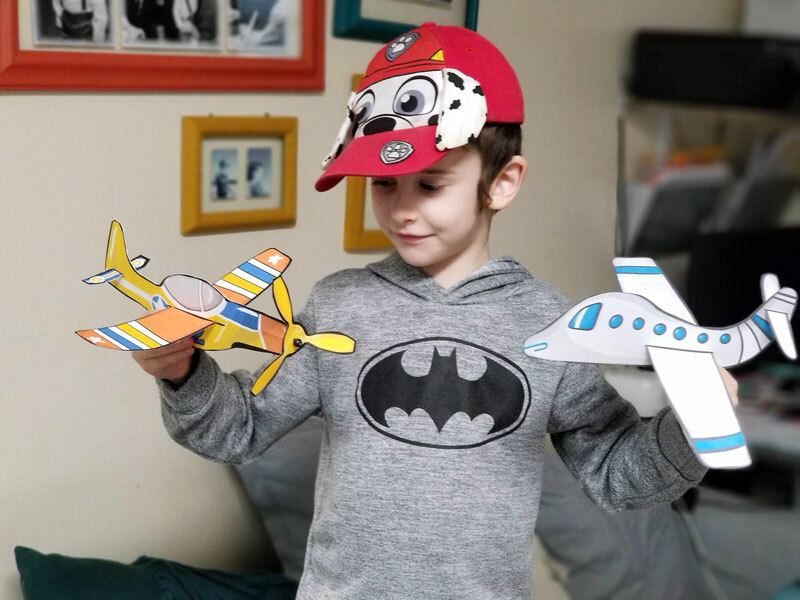 They wanted to just fly them while holding them, pretending like they do with any of their toy airplanes that don’t fly. 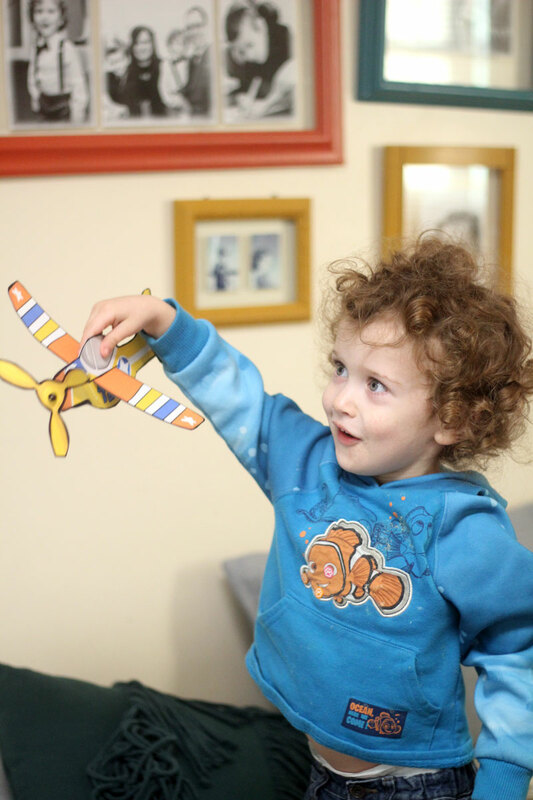 And they were obsessed with the little propeller, or “fan” as baby Y called it. 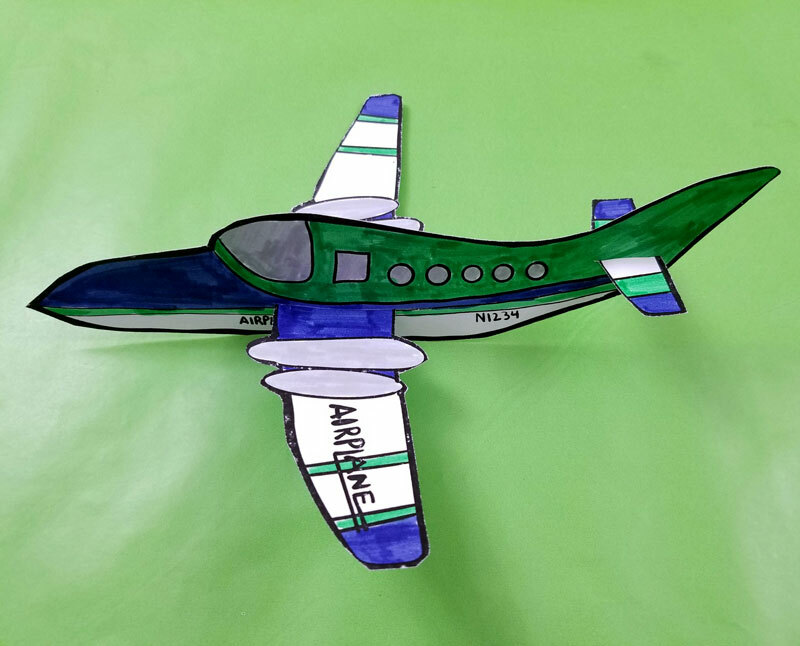 My favorite airplane is the one with the propeller at the front. It’s slightly more complicated to assemble than the others, but is still quite simple. The rest simply have a wingspan and tail wings (is that what they’re called?) to insert into a slot. 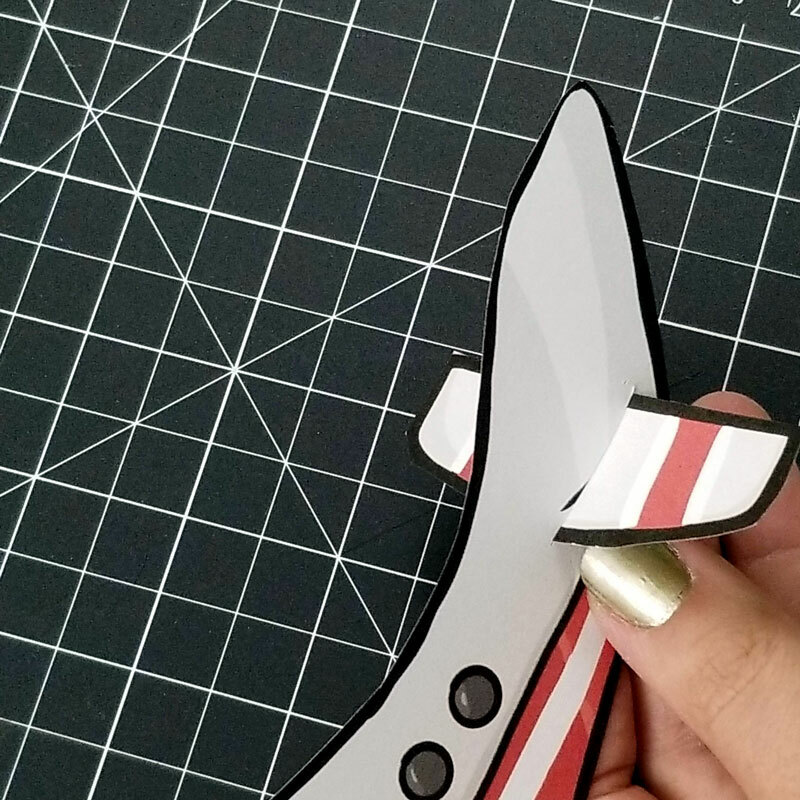 If you want to actually fly them, I’d recommend gluing or taping these in place, otherwise, just color (optional), cut, and slide it in the slots. 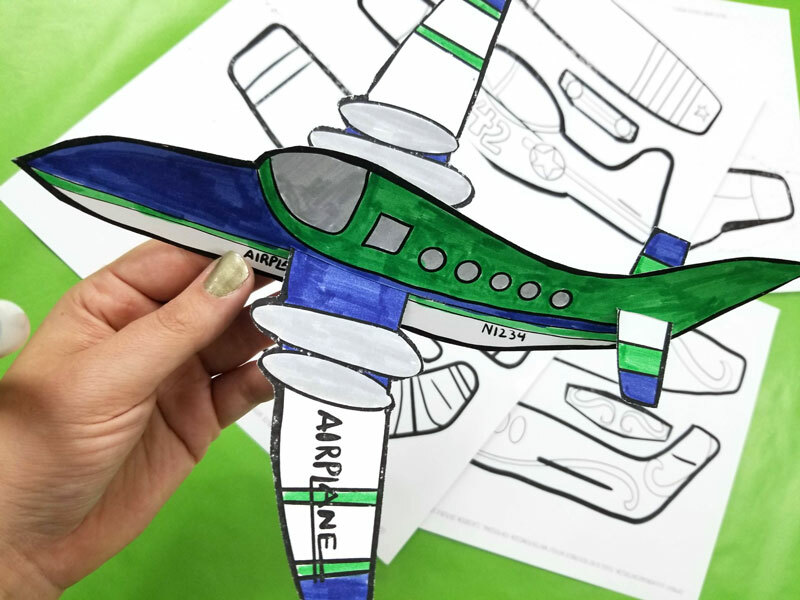 These easy paper airplane templates are perfect for taking as a travel activity (cut it out in advance since you can’t take scissors on a plane and color/assemble as you travel). They are also great for transportation or flight units. 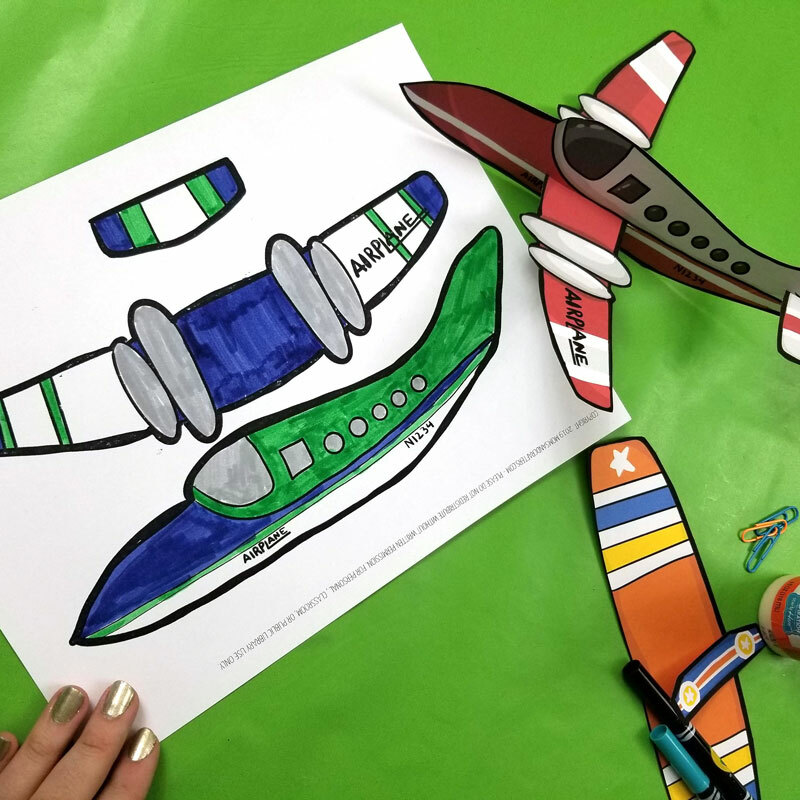 I was debating which of these paper airplanes to offer for free – the full color or the coloring page ones, and then I thought “hey, why not do both?” So I’m offering one of each – the same plane model – for free. To download, click on the image below and fill out the form. You’ll be subscribed to my (free) craft e-newsletter, however you can unsubscribe at any time. 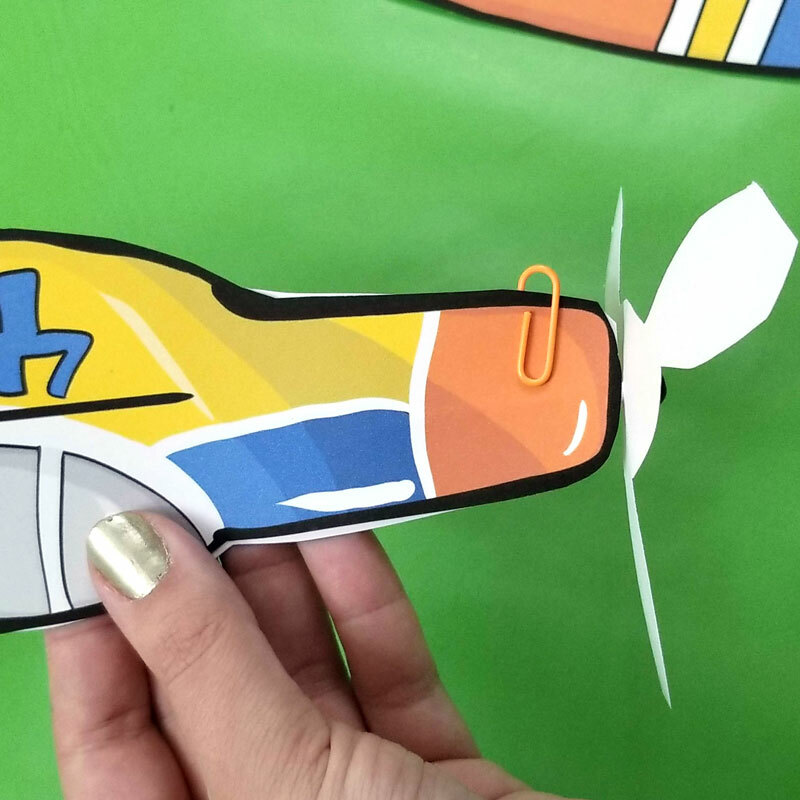 Want the full package of paper airplanes in full color? Click here to purchase it on Etsy! 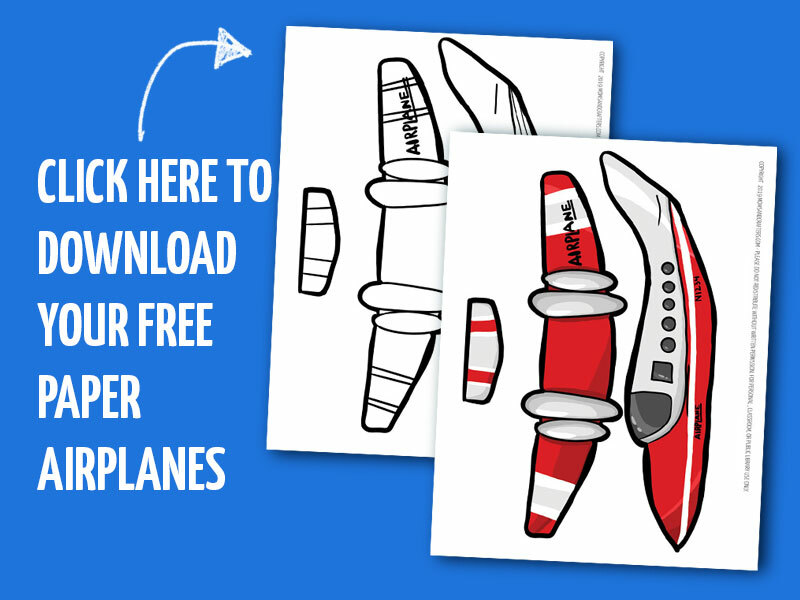 This includes all four full color versions (including the freebie, so you don’t need to download that separately), as well as printable instructions. 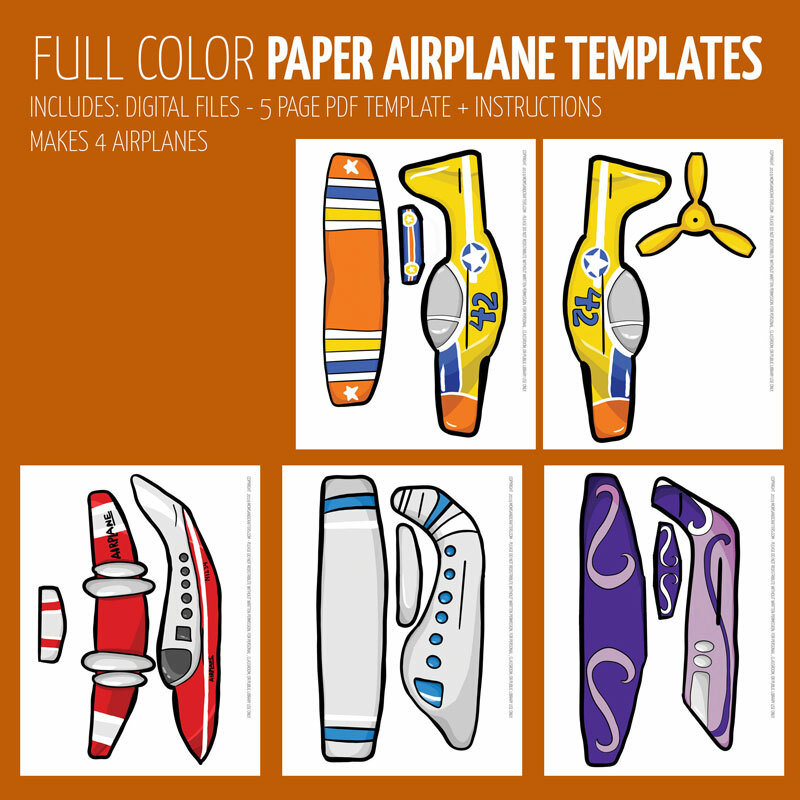 Want the full package of paper airplanes in the color-in line art format? Click here to purchase it on Etsy! 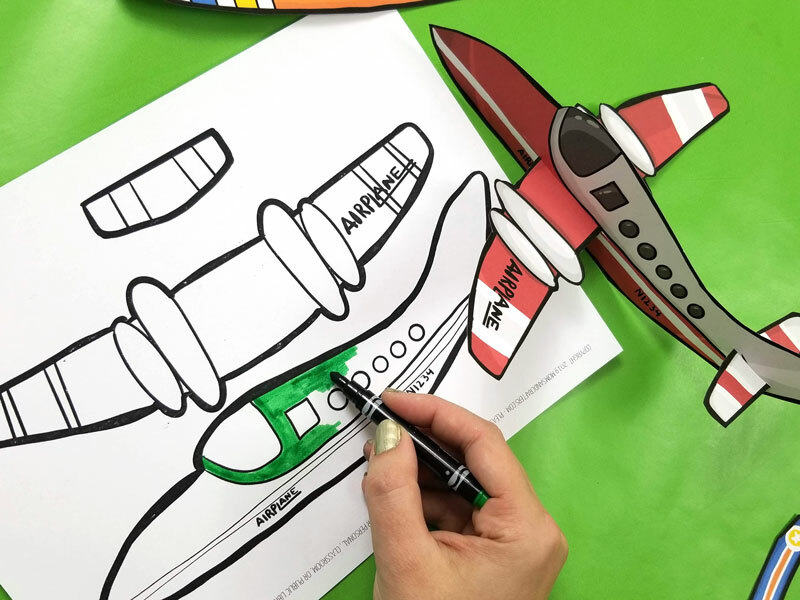 This includes all four color-in versions (including the freebie, so you don’t need to download that separately), as well as printable assembly instructions. 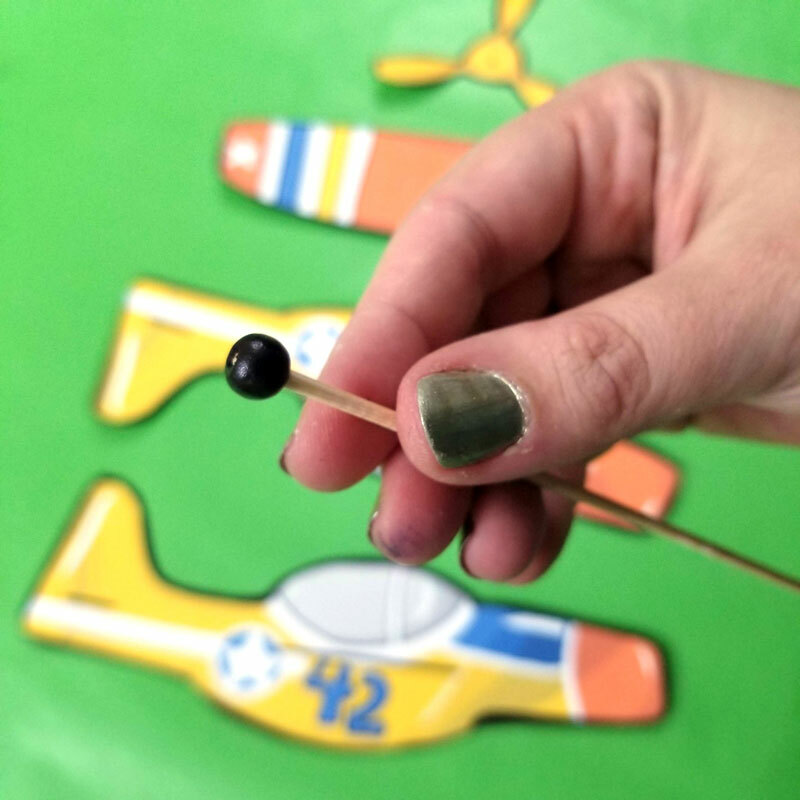 For the plane with the propeller: an 8mm wooden bead, a wooden skewer, wood glue, and a glue stick. 1. 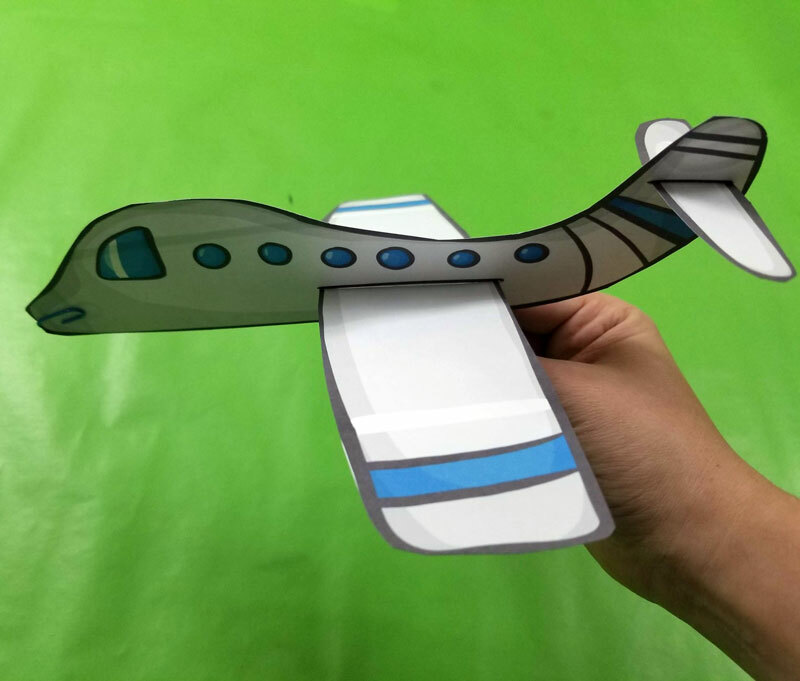 Print your template on cardstock if you want it to fly. 3. Cut out all your parts. 3. Cut on the slits. 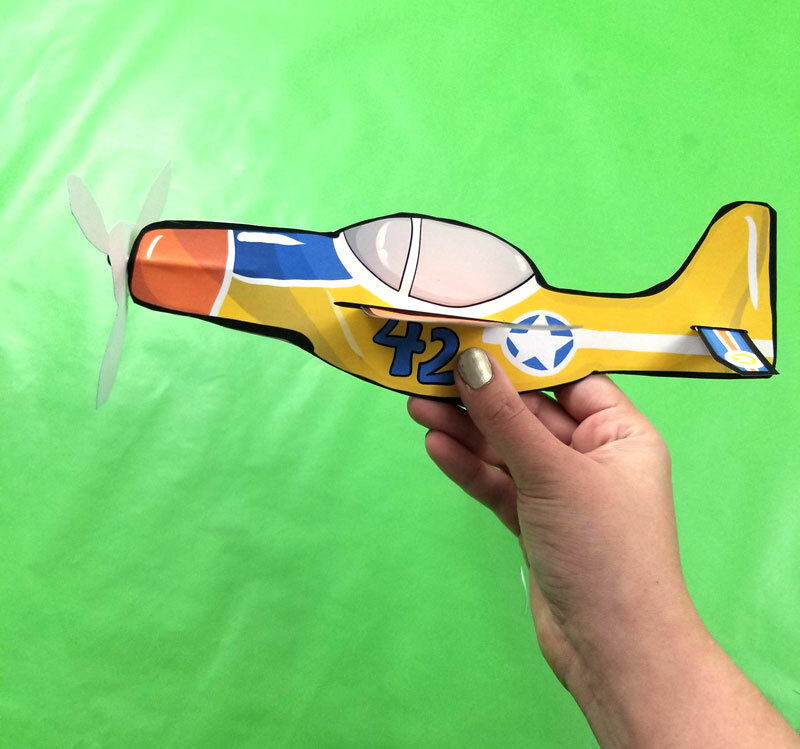 You may need to expand these on a few models to be able to slide the wing in – just measure the widest part of the wing. The slits are mostly to show placement. On the model shown below, the tail wings are close in size to the tail, so be precise. 4. Insert the wings into the slits. 5. 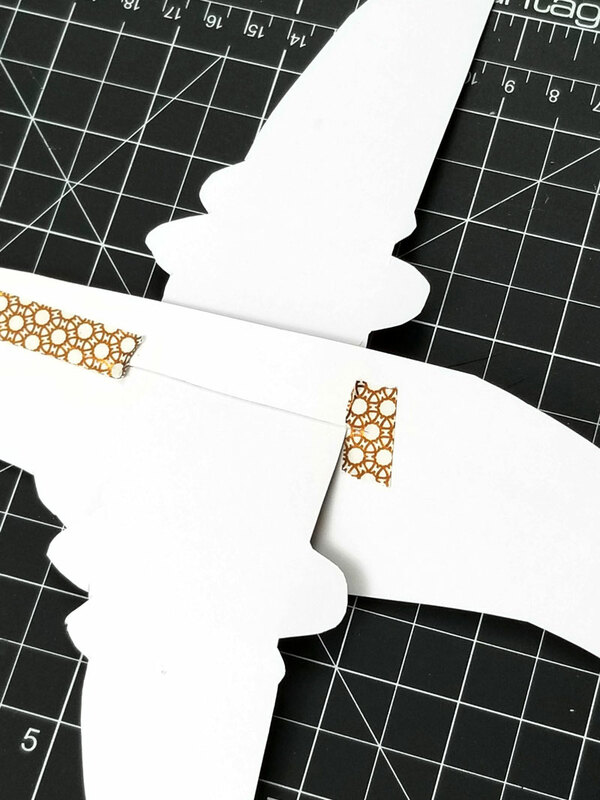 If your slits are larger than the part of the wing that sits in the slit, tape the excess shut – the template works easier when it’s tight. 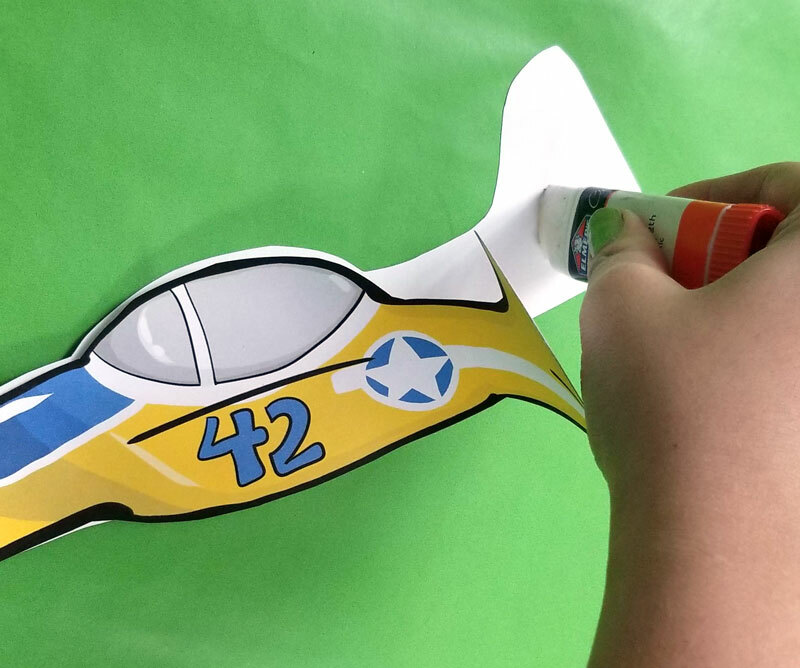 You can also tape the wings in place to help it fly better. 6. 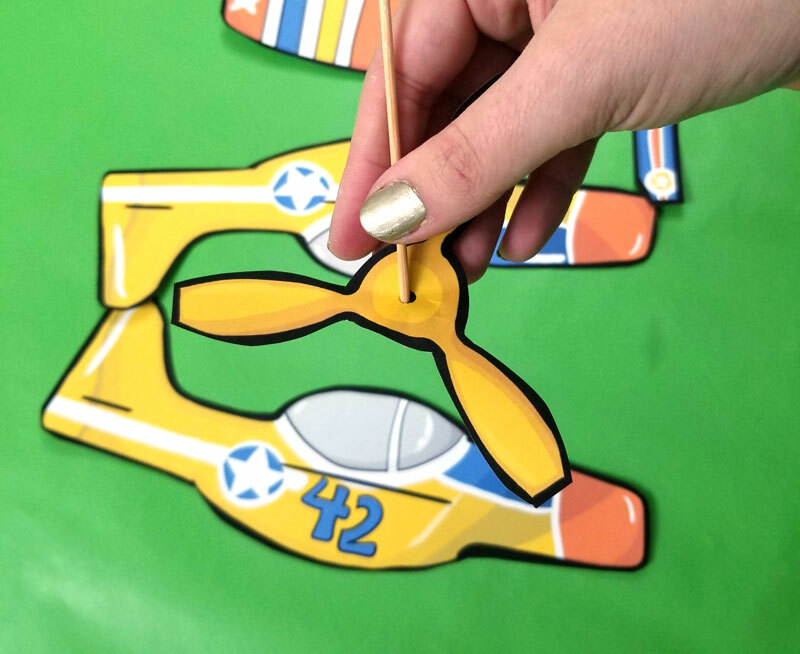 If you want , you can experiment with paper clips and the positioning on the nose of the plane. On the top positioning I got a really cool smooth glide. 7. Stick your wooden bead on the flat end of the skewer. Mine fit exactly, but if yours is loose, glue it in place with wood glue. 8. 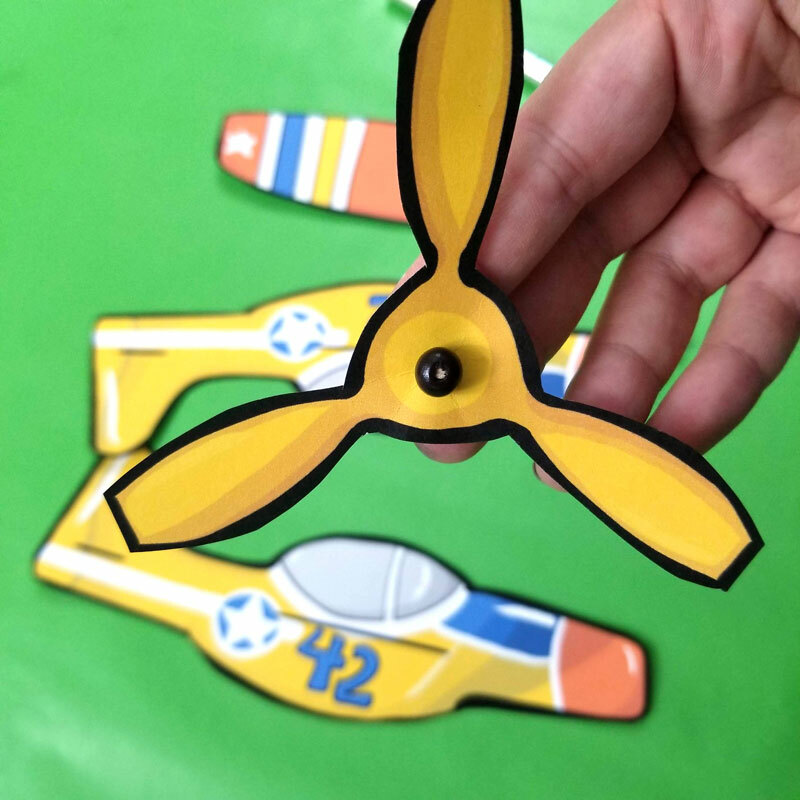 Use the sharp edge to punch through the center of the propeller (use a craft knife if you need help). 9. 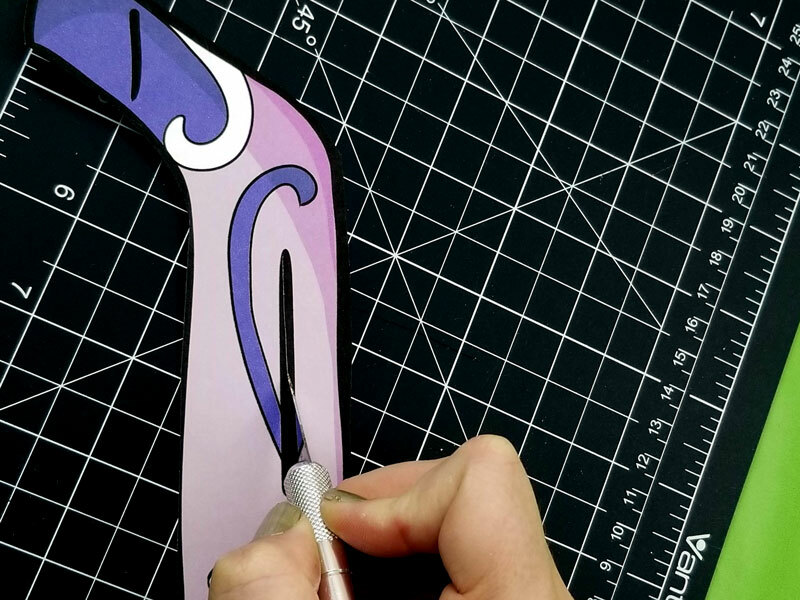 Trim your skewer to a couple of inches long. 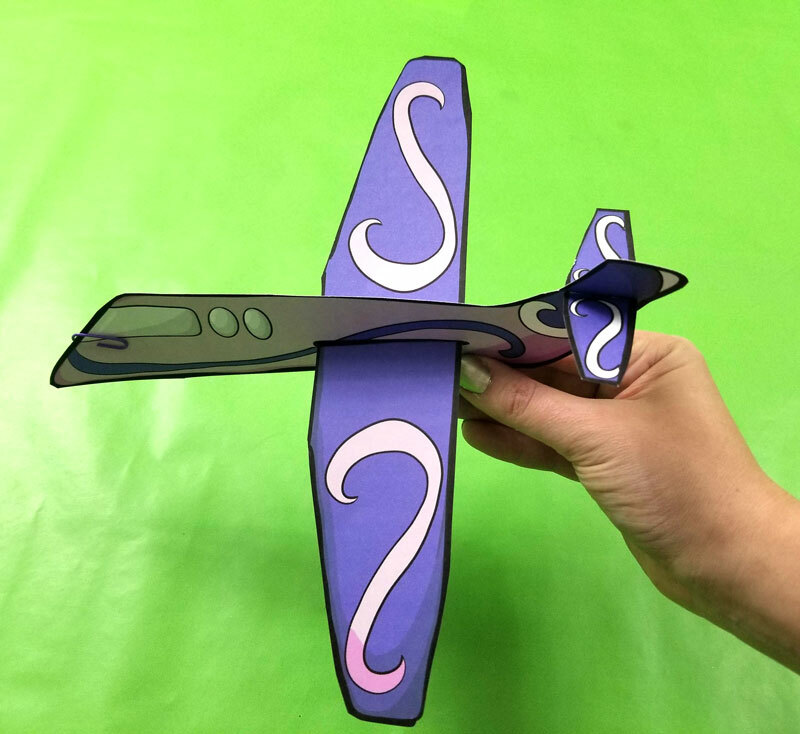 Sandwich it between the two sides of the airplane and glue in place with wood glue. Secure with a paper clip until it sets. 10. Once the wood glue has set, glue the two sides together using wood glue, or some other solid adhesive (such as glue lines or dots). 11. 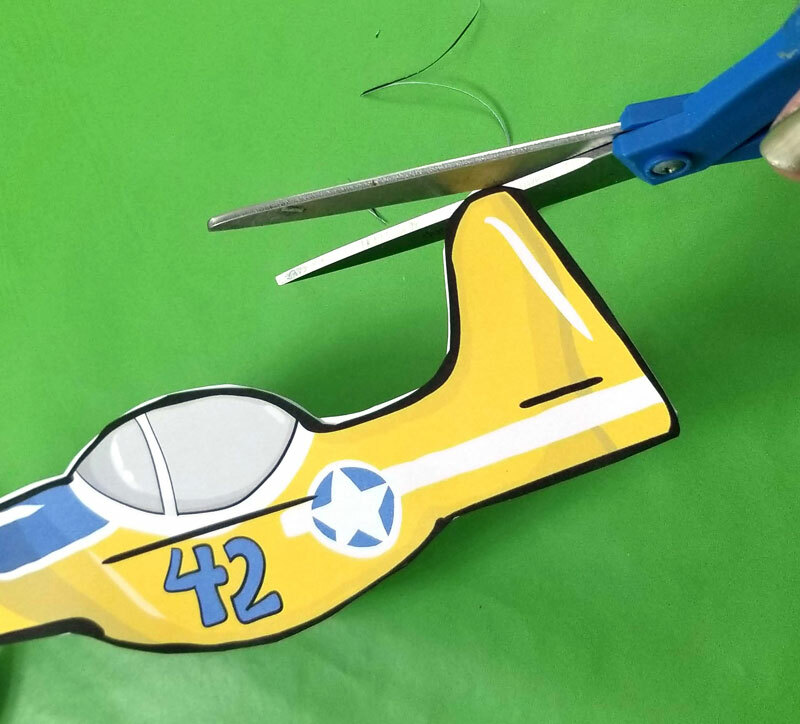 Since you probably didn’t cut it out perfectly, you may wan to trim the uneven edges. 12. Cut your slits and add your wings. 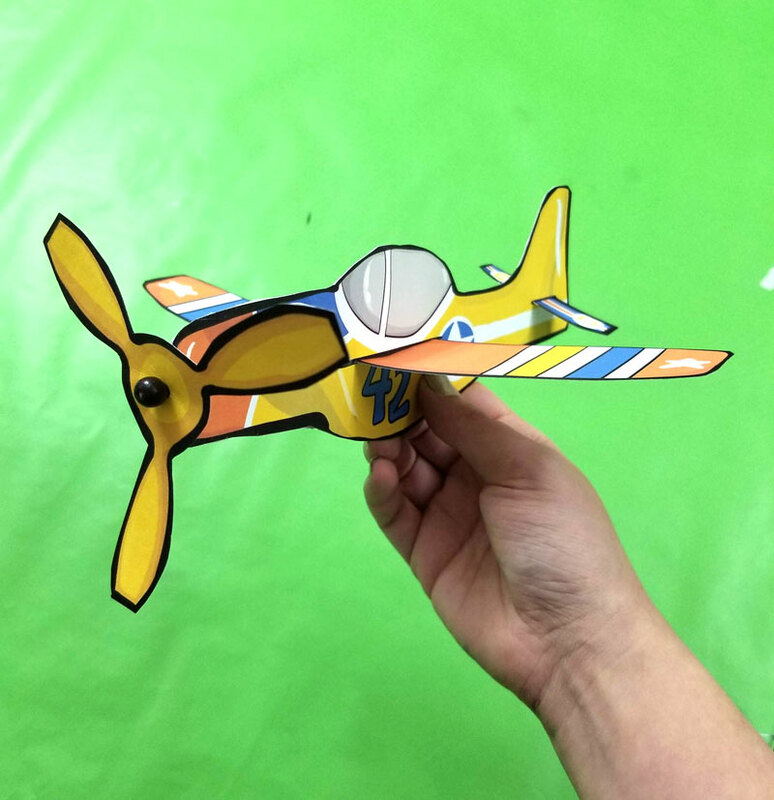 Your airplane is ready to take flight! That’s all! 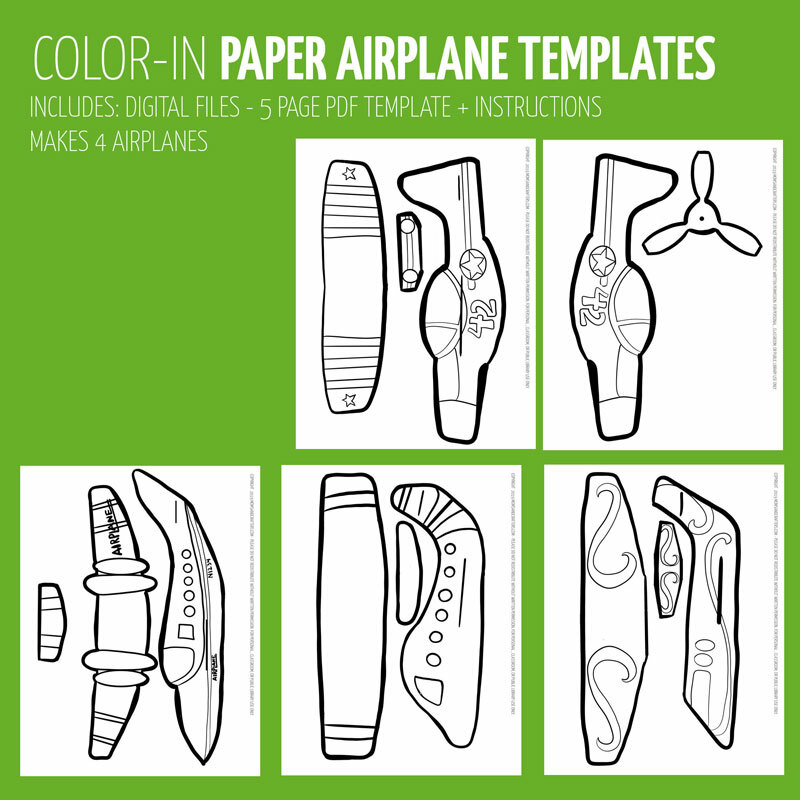 Now that you assembled your easy paper airplane templates, I’d love your feedback. 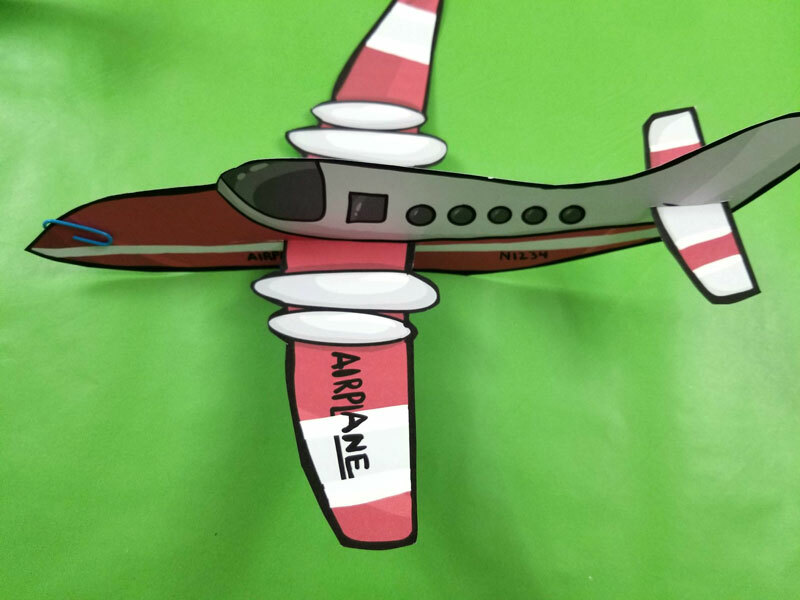 What are your plans for these easy paper airplane templates? Who will be crafting them, for which occasion? Comment below! 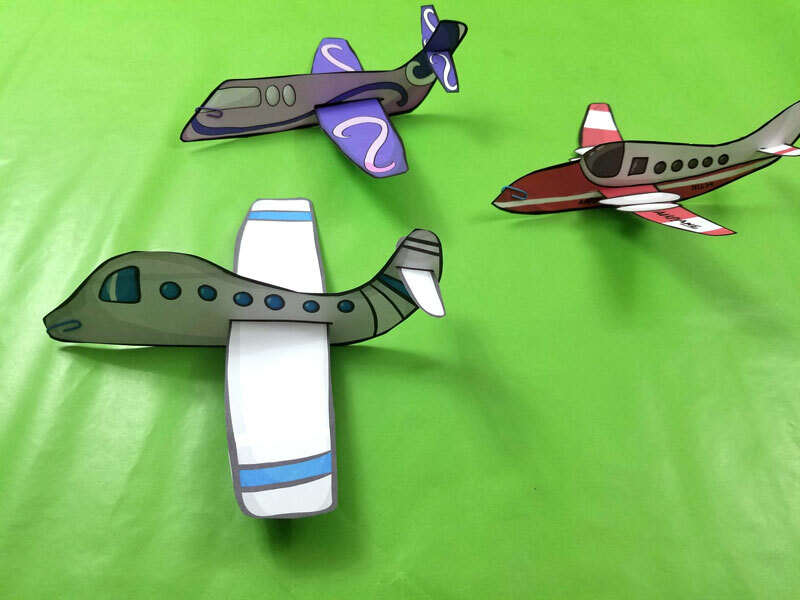 Crafts for kids, Free Printables, Paper Crafts. Bookmark. Your craft is lovely. I am an Educator in Barbados. At present, students are learning about transportation on land and my class is called the Mighty Motorcyclists. Do you have an motorcycle templates? Hi Beverly, not at the moment, but that’s a great idea and I’ll add it to my list to do eventually!